Robert Dine R.N. & Luke Dine Royal Sussex Regt. Three volleys ringing out on the still afternoon air and the last post pealing forth in all its solemn impressiveness proclaimed on Monday from the Heroes Corner of Brighton Extra Mural Cemetery, that the mortal remains of Robert Dine, aged 21, who while serving in the Royal Irish Constabulary, at Rathmore, Co. Kerry, was ambushed and killed on 4th May by Sinn Feiners, had been laid to rest. And nowhere more fittingly could they have been placed. Called by the war, in January 1915, at the age of 14 and a half years Robert Dine joined the Lancashire Fusiliers, and he served for seven months before his true age was discovered and he was discharged. 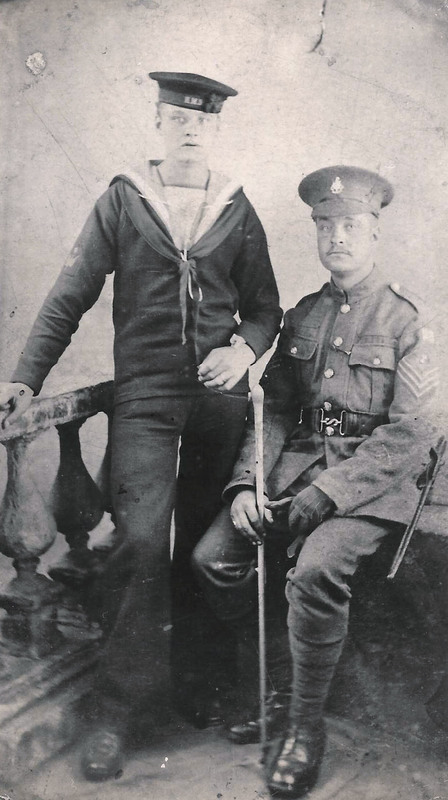 He immediately enlisted in the Royal Navy, and “did his bit” as a wireless operator until March 1920, when he was demobilized. 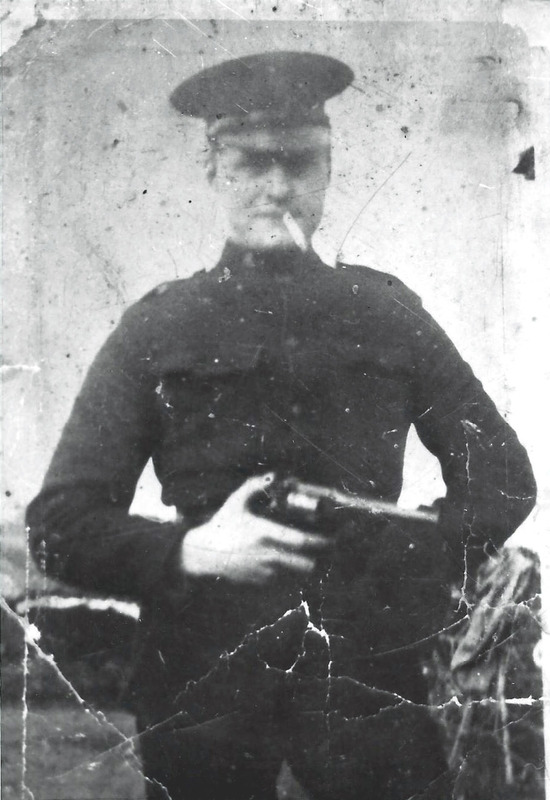 After a period on a cross-Channel mail boat he enlisted in the Royal Irish Constabulary in November 1920. Dine came of the true British fighting stock. His grandfather William Windsor, who served with distinction in the Baltic Fleet in 1854, has recently died. 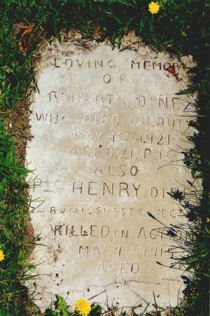 His brother Harry went right through the Boer War in the Royal Sussex Regiment, and was in the Great War, his life too was lost to his family, sacrificed for his country’s sake, for he died in action at Richebourg, France, on the 9th May 1915. One son now remains to Mr & Mrs Dine of 24 Sun Street, elderly and respected fisher-folk; and he, Luke Dine, served throughout the Great War with the Royal Sussex Regiment. Large crowds lined the route which the cortege took from the house to the Extra Mural Cemetery, and thousands of people halted and paid their last tribute as the gun carriage, carrying the coffin with the Union Jack, passed by. To the graveside the remains were borne by members of 50th Battery, R.F.A. from Preston Barracks, and the firing party was also drawn from this unit. A cordon of police, under the supervision of Inspectors Lodge and Tester, preceded and followed the coffin, and around the graveside they formed a square. The Rev. S. Beven conducted the simple, impressive rights; and so beside the bodies of his fellow heroes, near to the summit of the hill, ‘neath the glorious air of the Downs, there were placed in repose the remains of one of Brighton’s own heroes who should not be forgotten – Robert Dine’. The writer is proud to claim Robert Dine R.I.C. Service number 75917 as his great uncle, remembering that he was an ordinary member of the established police force in Ireland and not a member of the very controversial “Auxiliaries” or the “Black & Tans”. You can read a report of the incident by downloading the document below.